Located on Molokai's sunny west coast in the master-planned Kaluakoi Resort is *Ke Nani Kai*, a complex of 120 low-rise condominiums nestled between the 8th and 17th fairways of the Kaluakoi Golf Course. 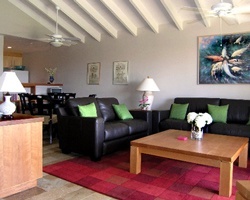 The spacious apartments are tastefully furnished to reflect the tropical beauty that surrounds them. To complement the resort, there are two championship tennis courts, a luxurious 60-foot free-form pool with accompanying heated whirlpool, barbecue area and putting green. For more information, visit www.kenanikai.com. 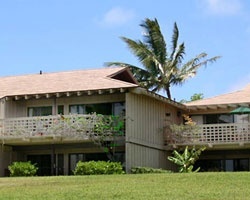 Rare resale opportunity at this gorgeous Hawaiian resort! Yearly usage in June, Red season week! Ocean & garden-view! Neg!